On September 2nd, my most important project to date came to fruition. 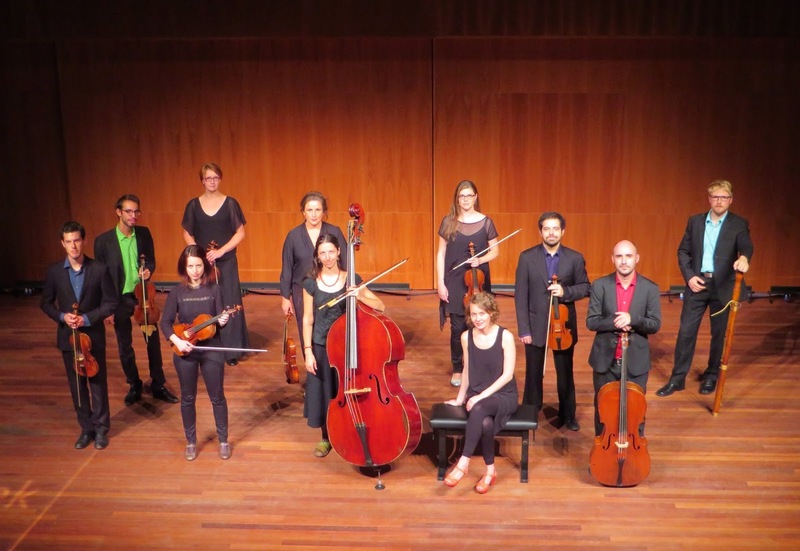 As part of the Utrecht Oude Muziek Festival’s Fabulous Fringe series, NewBO (The New Baroque Orchestra) celebrated its premiere performance with a program of English music from the middle of the 18th century. As administrator and co-director of this project, a lot has rested on my shoulders over the past few months and I can’t tell you the feeling I had when we stepped onto that stage in the Hertz room at the TivoliVredenburg. NewBO was conceived in the bar of the Hôtel des Ardennes in Echternach, Luxembourg, almost two years ago. After hours of discussion, as well as a few more weeks on tour, it was clear that a fire was lit. Following two seasons as EUBO, our desire to play together burned ever stronger. After our final tour to Malta I began preparing the materials for our Utrecht debut. This year the festival theme is English music, a topic I know very well. Our program, titled Mid-Century Modernists?, focused on three of England’s provincial masters: William Hayes of Oxford, Sir William Frederick Herschel, and Charles Avison of Newcastle-upon-Tyne. The three pieces, all written within a short period, display an incredible variety of tastes available to the provincial ear and many were surprised to realise just how diverse the musical landscape was outside of London. Our major challenges in organizing the project were purely practical: how were we transport, lodge, and rehearse when the twelve musicians were coming from eight different cities across the continent? Thankfully, everyone covered their own expenses in the hope of recouping their costs from the donations of patrons attending the concert - a great risk for which I will be ever grateful to them. Our ‘locals’ Yotam, Hilla, and Saron, proved to be essential in securing lodging and rehearsal space. Yotam’s apartment, an attic room in an old engineering school, managed to fit six of us comfortably, while the rest were distributed among the rest of the orchestra members in Den Haag. Furthermore, we were fortunate to be invited to rehearse in the house of our patron, Olaf, which provided us with a productive atmosphere. Unfortunately, when it came to the day of the concert more than just a few things went pear-shaped. Our first violinist’s tail-piece blew off overnight, I found out I had to give a speech before the concert, and issues with the rehearsal space and instrument arose. Fortunately, everything slotted into place: the repaired violin played better than it had in the rehearsals, my speech went without a hitch, and we didn’t let anything get in the way of a decent sound check and dress rehearsal. For me, stepping onto the stage of the Hertz room was quite the experience. Not only was I lucky enough to introduce such a fine ensemble (whose members are so dear to my heart), but knowing that I had a part to play in putting us there ran a shiver down my spine. Following the last concerto, a roar of applause came from the hall and, by judging the look on a few of our faces, astounded us. I don’t think that, after all that had happened over the course of the day, we were ready for such a warm reception. However, that didn’t stop us from performing an encore (a good one, too), before walking offstage to celebrate. After the concert, the audience left us a very generous donation which, in combination with the humble travel reimbursement from the festival, covered all of our travel expenses. We took a great risk in assembling, but we certainly didn’t regret it. Saturday saw the second performance of the orchestra in Zeeland, a project spear-headed by one of our violists, Hilla. Though I had returned to Basel, I received a number of messages about how they were planning for the next project. There is quite a bit of work ahead but, now that we have gotten through the first big hoop, we know what to expect. That fire is burning ever brighter.